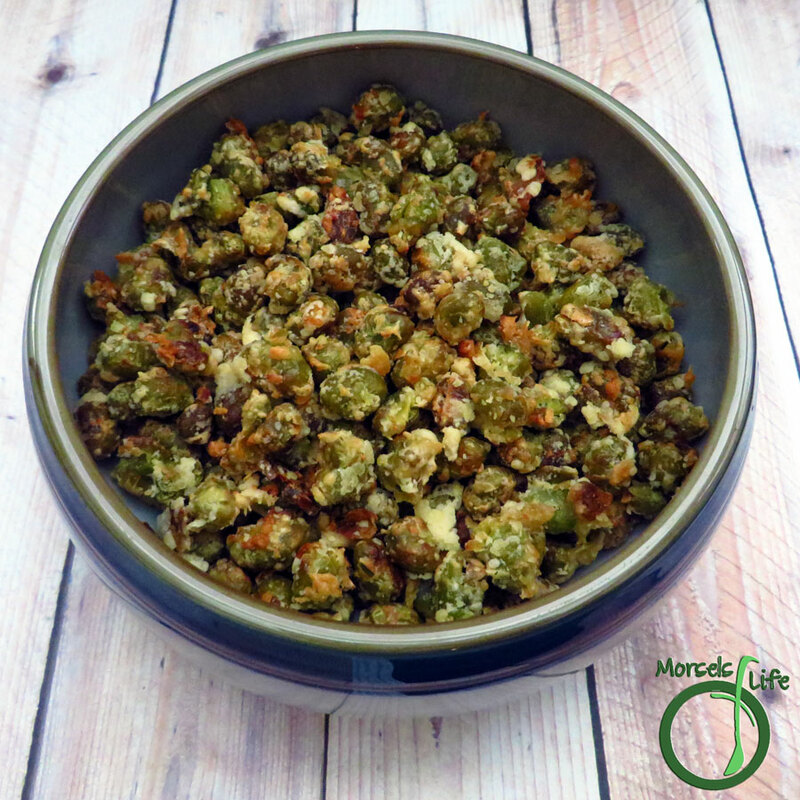 What are some flavors you'd like to try with this crispy edamame? 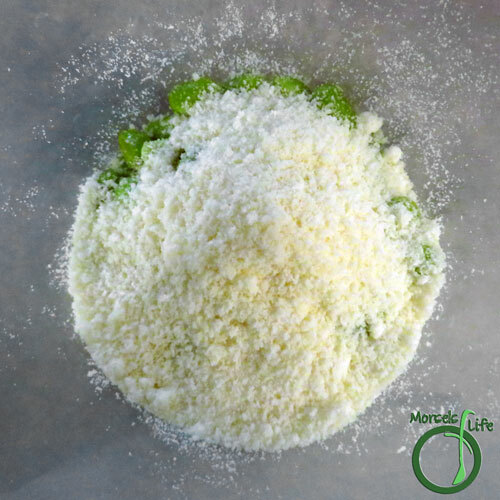 29 grams 1 ounce 1/4 cup Parmesan cheese Smaller particles tend to work better. 2. 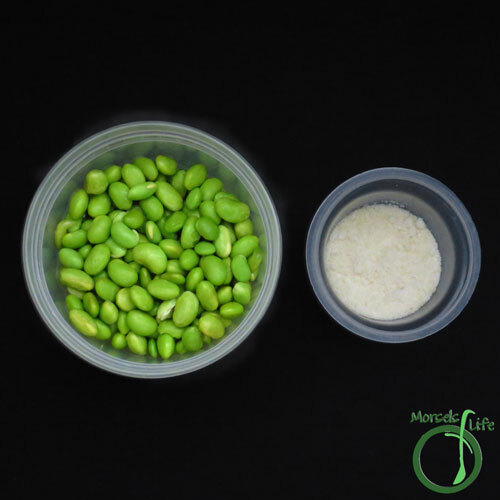 Coat edamame with a bit of oil, and then shake together with Parmesan. 3. 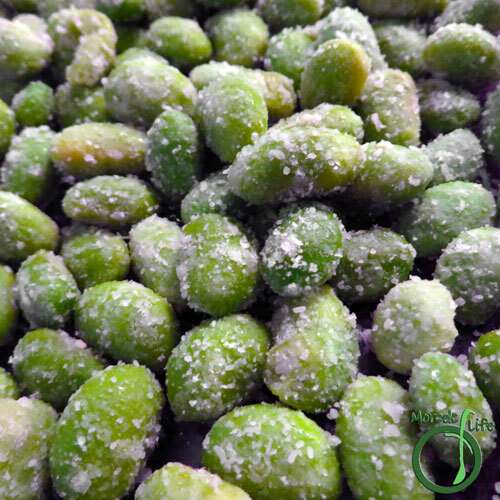 After coating edamame with Parmesan, place into a baking tray in a monolayer. Bake at 400F for 10 minutes, stir, and then bake for another 10 minutes or until crispy. What a great snack, I can't wait to try this recipe! Very nice choice for the SRC! The cheese seems like a great addition. So glad you and baby loved them! They're one of our favorite snacks. 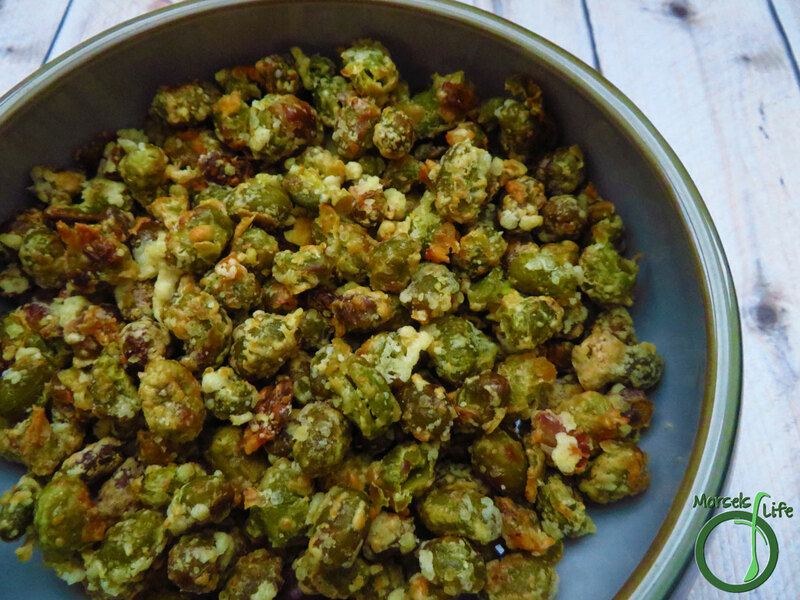 A simple, crunchy, savory snack - what's not to like? Hmmm, maybe a touch of wasabi powder for a pop?! I bet those are WAY too easy to eat - I can't imagine that batch lasting all that long :) Great choice! 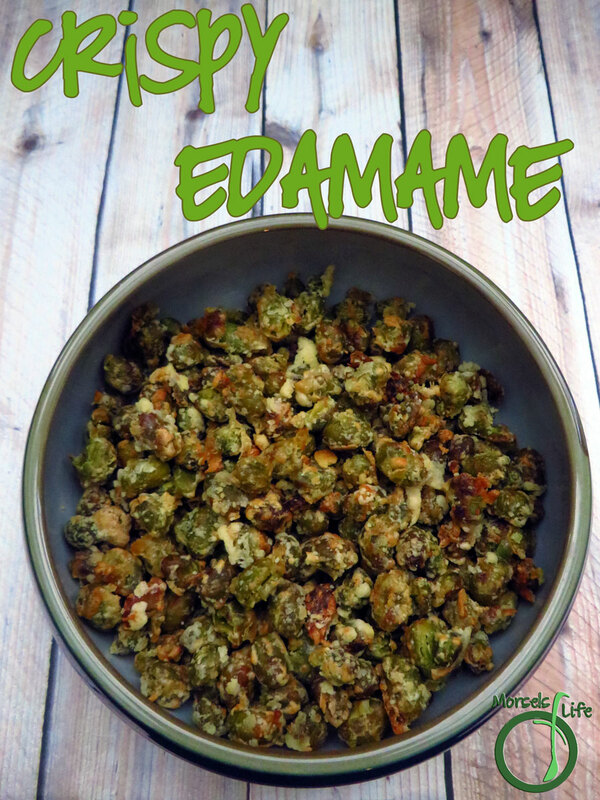 I love edamame and the addition of parmesan sounds great! They look great - I bet I'd eat the whole bowl in one sitting!